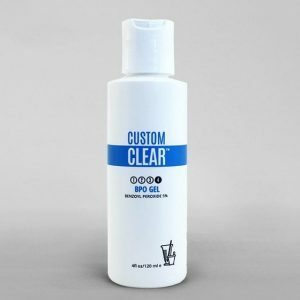 Custom Clear Product formulations have been used since 1984 with hundreds of clients cleared up in just a short period of time. 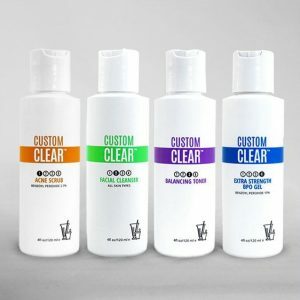 Custom Clear Products are non-prescription pharmaceutical products. 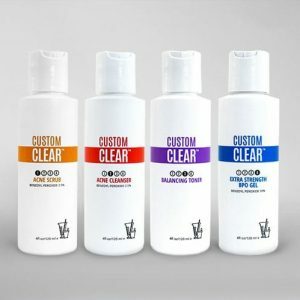 Custom Clear products were intellectually created under extraoridinary science concepts. An initial experiment explored to discover the best effective formula which will specifically works with each type of skins.The secret is all about its ingredients selection and screening in order to get the best ingredients for each formula. To get the most effective results are to choose the right formula to match with your skin types. 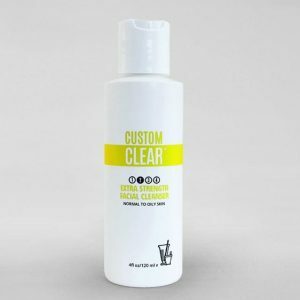 At Custom Clear, our philosophy encompasses safety issues as well as product quality. We implement control programs to ensure from screening qualified raw materials specification until the final quality product check on finished goods. Prior to approve new coming materials, various documents review, inspections, and lab-testing will be done before approving each material. Regulatory information is up-to-date and that safety and quality is the top priority for every custom clear product. Just like fingerprints and snowflakes, no two people are exactly alike, not even twins. Because everyone’s skin care needs are different, we target every condition on your skin for correction. After you have been professionally analyized, not by a computer but a real person, your products are made just for you. Useing only the finest botanicals, biological tissue systems and extracts. What that means it that if you don’t need an ingredient, it will not be used. Likewise, for ingredients that you do need, just the right amount will be custom blended into your product. No more hype, just results!